Deborah Sweaney lives in Carlisle, Pennsylvania. Farther away from her roots in Missouri than she might like, but the Pennsylvania hills carry a familiarity reminiscent of the Ozarks. She moved to Washington D.C. just after college to intern for Missouri Representative Jerry Litton, and Washington remained her home for the next thirty years. She worked for multiple government agencies including an internship with the planning organization for the Nixon Presidential Library, the White House Office of Records Management, and finally with the Federal Deposit Insurance Corporation (FDIC). In 2006, she and her husband left Washington, D.C. for Carlisle, PA. In her words, "After 9/11 the security in the city was so overwhelming, it no longer seemed like fun to be there." In addition, she is a former adjunct instructor at Messiah College, the University of the District of Columbia, and Marymount University in Arlington, Va., and has been a consultant for National History Day. 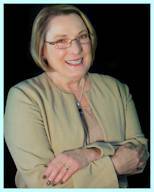 She supports public education by serving on the Carlisle Area School District Board. 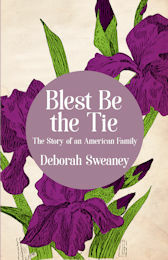 "Blest Be the Tie" is third book in her Missouri trilogy. It follows four generations of women in her family. She re-creates their day-to-day worlds as they are impacted by events of their times. 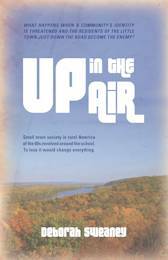 "Up in the Air" is her second memoir about growing up in rural Oregon, Missouri. She highlights a tale of two communities. Rooted in farming, situated just down the road from one another, both towns cling to their long-standing cultural differences as they face-off in opposition to a school merger. 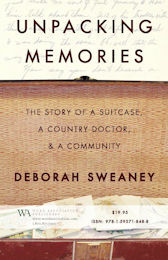 Her first book "Unpacking Memories" tells the story of her parents and their community in the 1950's. It captures a place and time that is no more - a small town in the decade following World War II. It is the story of a country doctor, her father, and an account of the town and county that he loved and served. From an adult perspective Deborah recounts a 1950s childhood in rural northwest Missouri, but in doing so she strikes a chord for thousands of others who grew up in that decade. The proceeds from her writing formed the basis for the Iris and Frank Sweaney Fund which honors young people in Holt County with scholarships.